Let’s see how the rest of the weekend pans out. 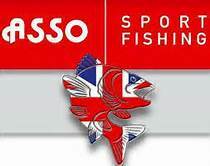 This entry was posted in Asso Fishing Line, big pit reels, carp, Carp fishing, Carp Tackle Supplies, Deeper Pro Plus, evolution carp tackle, Fishing, Fishing App, Frank Warwick, Free Line Magazine, lake fishing, maggot cluster, photography, Pop Ups, Ronnie Rig, Smokey Jack, Spotted Fin, The Catalyst and tagged #assofishinglines #richardhandel #SpottedFin #thecatalyst #deeperproplus #smokeyjack #evolutioncarptackle #Finygo #carpfishing #foxwarrior #tacklefanatics #assofishinglines #spottedfin #Catalystboilie. Bookmark the permalink.